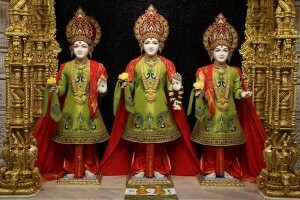 A Mandir is a Hindu place of worship – a haven for spirituality and a place of paramount peace. It is also a center vibrant with social, cultural, and spiritual activities. 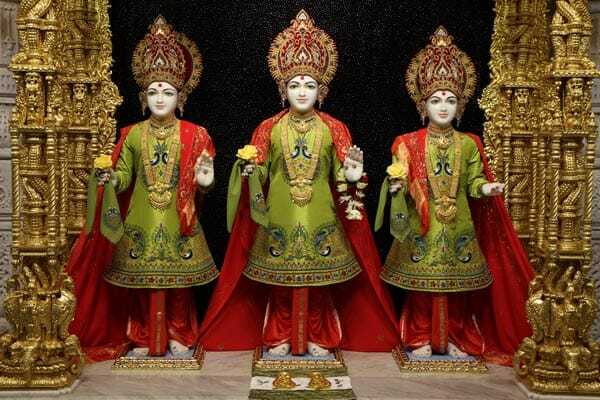 The BAPS Shri Swaminarayan Mandir was inaugurated in August of 2007 after only 17 months of construction time utilizing 1.3 million volunteer hours. The Mandir is comprised of 3 types of stone (Turkish Limestone, Italian marble, and Indian pink sandstone). More than 34,000 individual pieces were carved by hand in India, shipped to the USA and assembled in Lilburn like a giant 3-D puzzle. 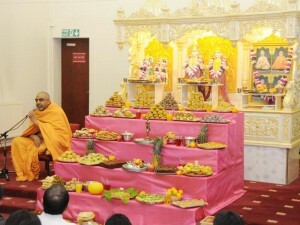 BAPS Swaminarayan Sanstha (BAPS), established in 1907, is a worldwide civic and religious organization dedicated to the spirituality of the individual while promoting harmony, between individuals, within families, and within diverse communities. • Caring for their spiritual, cultural, social, physical, emotional, and educational needs. • Inspiring all towards a pure and peaceful way of life; filled with character, love, tolerance and harmony. • Sustaining the universal values of Hindu culture. • Fostering faith and devotion in God. In the early 1980’s a handful of Swaminarayan devotees in the Atlanta area began meeting at each other’s homes on a weekly basis to hold religious gatherings. As the number of devotees and the Indian community in the surrounding area steadily increased, a special place of worship was needed, and with the help of devotees from around the southeastern states, a skating rink was purchased in 1988. Even then, a large BAPS volunteer force completely transformed the old dilapidated rink into a mandir in Clarkston, GA. Since 1988 the converted rink has served as a mandir and all that a mandir stands for. Over the years, however, it was evident that a traditional mandir was needed in Atlanta—one that would be able to help Hindus in America of all ages to strengthen their roots. With this desire, and through the inspiration of Pramukh Swami Maharaj, a decision to build a traditional shikharbaddh (spired) mandir in Atlanta was made. 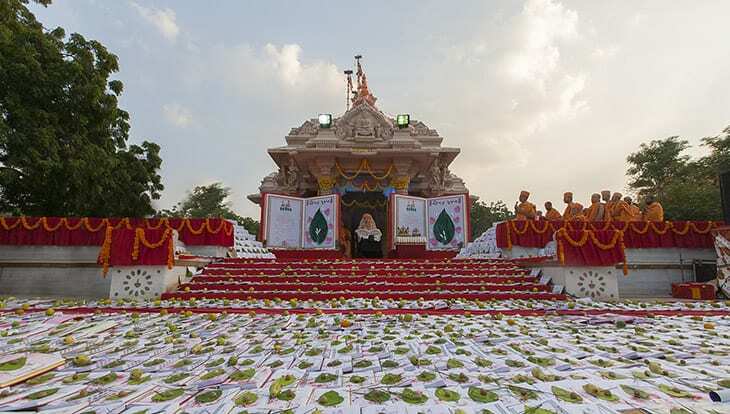 With the blessings of Pramukh Swami Maharaj, in February of 2000, a twenty-nine acre plot of land at the intersection of Rockbridge Road and Lawrenceville Highway was purchased in Lilburn, GA, a quiet suburban town of Atlanta. 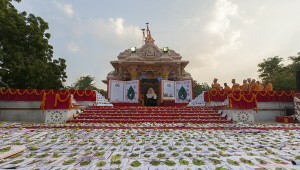 A puja was also performed this same year by Pramukh Swami Maharaj to sanctify the land so that construction may begin. BAPS broke ground on the mandir project in September 2005, with land being cleared and ready for the main foundation pouring just four months later in January of 2006. In March 2006, a crane was assembled just in time to install the first of what will be a monument with over 106,000 cubic feet of Italian Carrara. 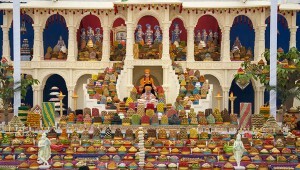 Over 34,000 hand-carved pieces have been shipped from India in what, by completion, will be 346 containers to Atlanta. The true spirit of seva, or selfless volunteering, continues to live on in this mandir just as it does in every BAPS project. Some two million man hours of labor have gone into building this special house of worship, with high school and college students foregoing their summer vacations to sweat in the Atlanta summer heat to make this project a success. Along with the young, many professionals and business people, including both men and women, had temporarily put their lives on hold to ensure that the approximately 30,000 square foot mandir would be completed by the end of August. 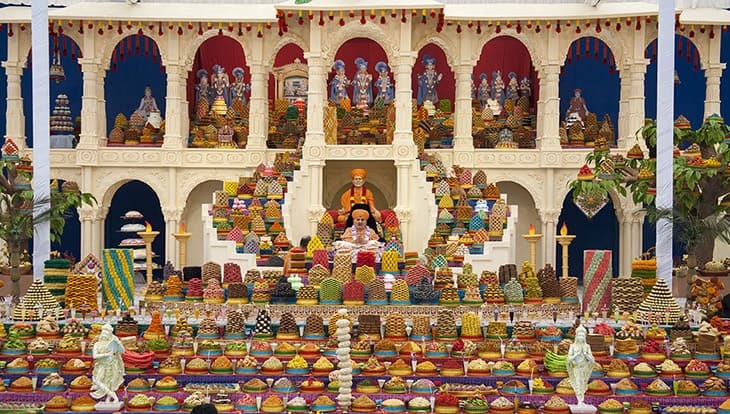 BAPS mandirs are a rare and valuable gift to society that aim to imbibe cultural, moral and spiritual values to thousands of people who visit it daily to pray, celebrate, and receive inspiration.